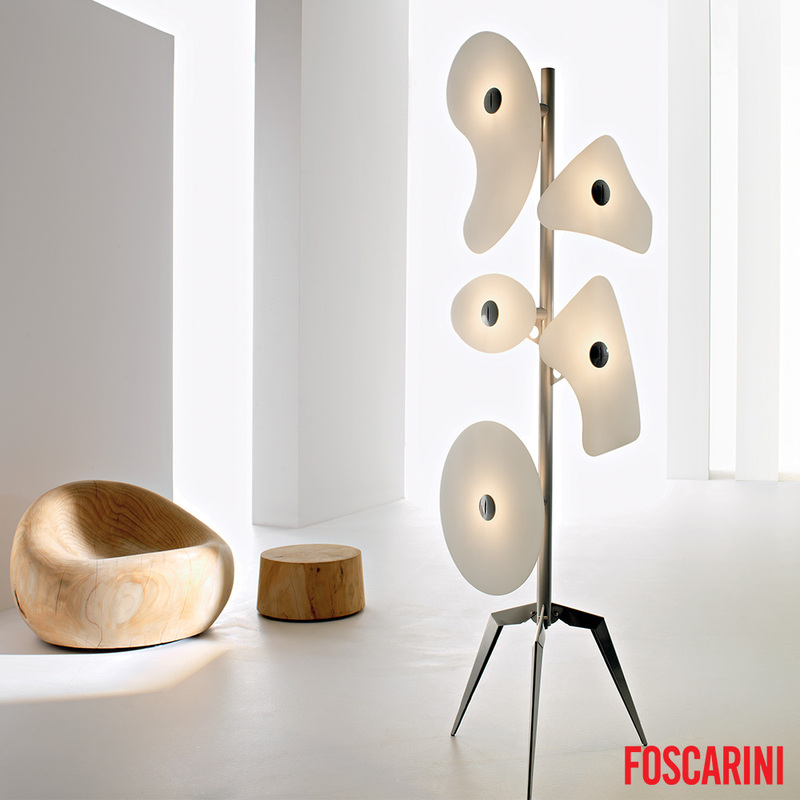 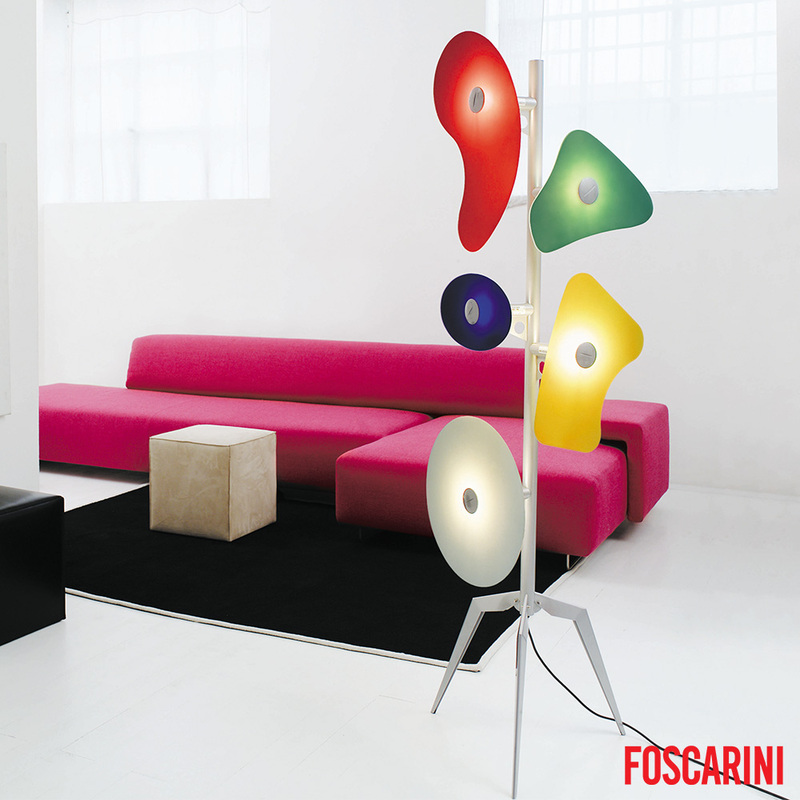 The Orbital lighting object decorates with the boldness of a sculpture, a true icon of lighting design. 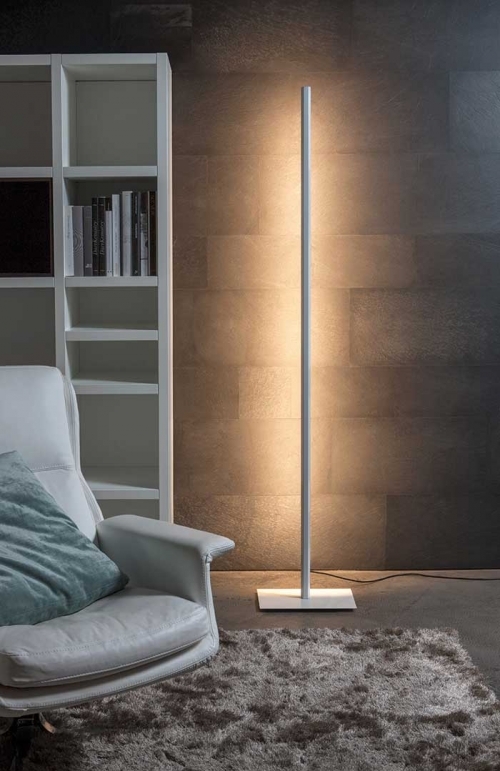 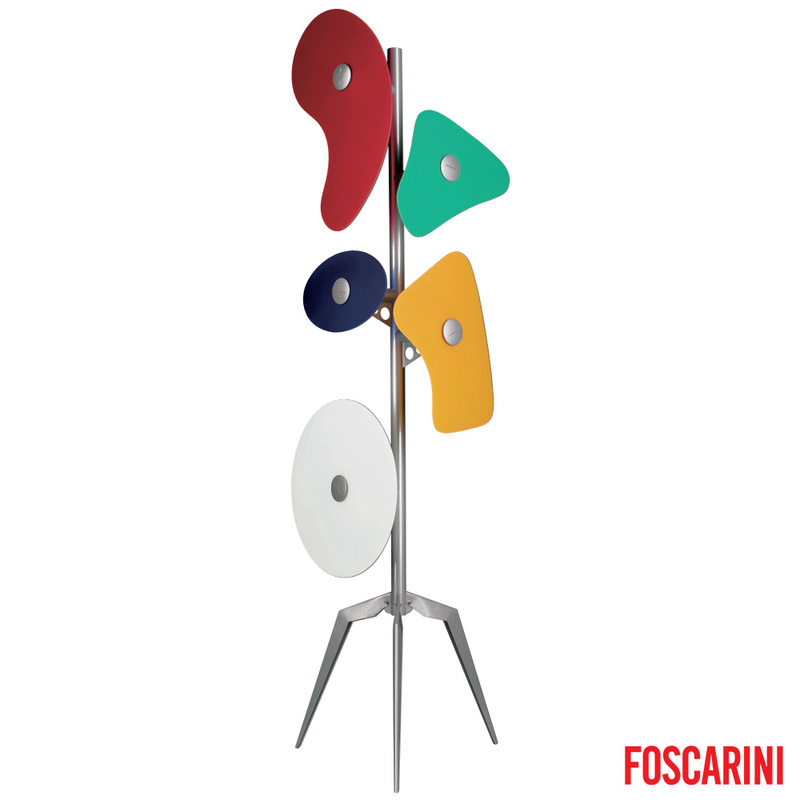 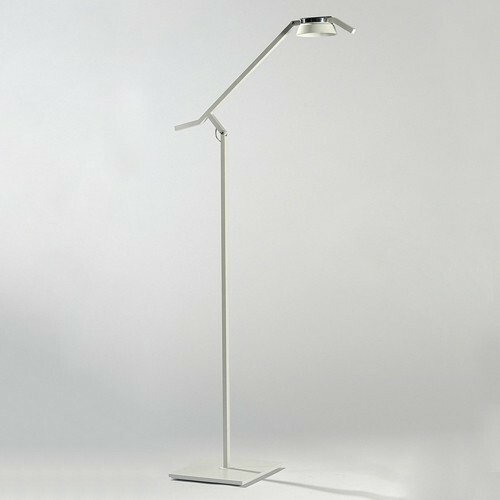 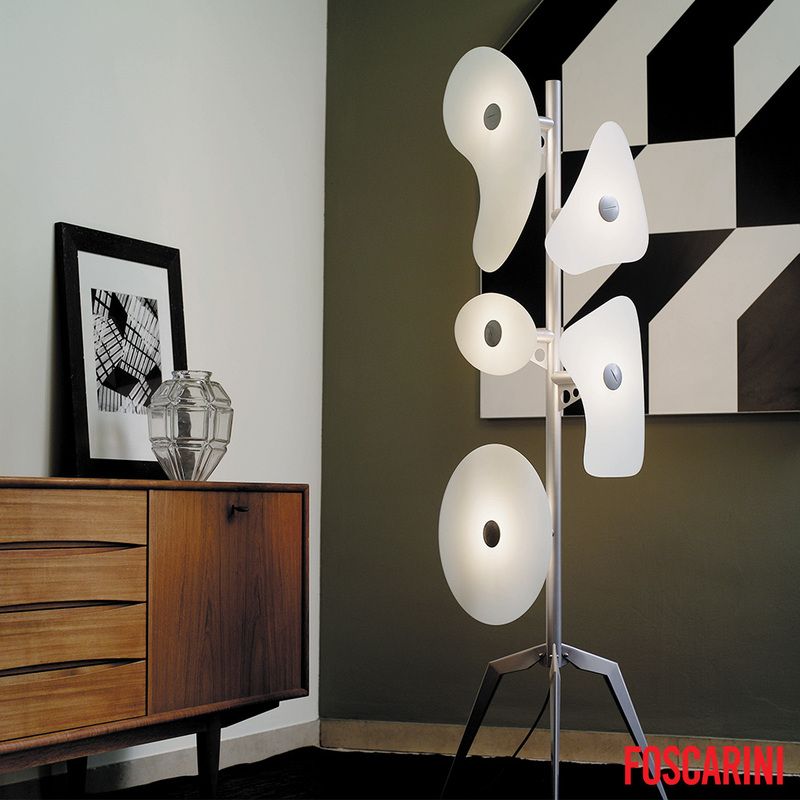 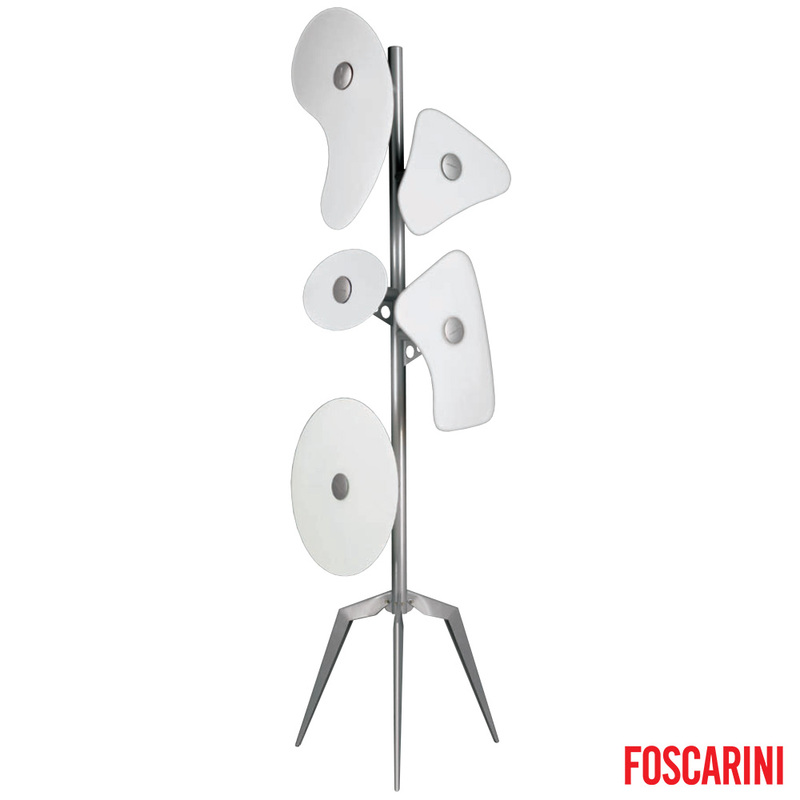 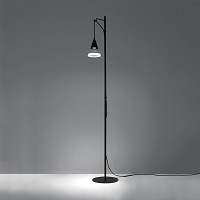 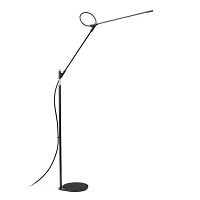 Orbital is a floor lamp with diffused light. 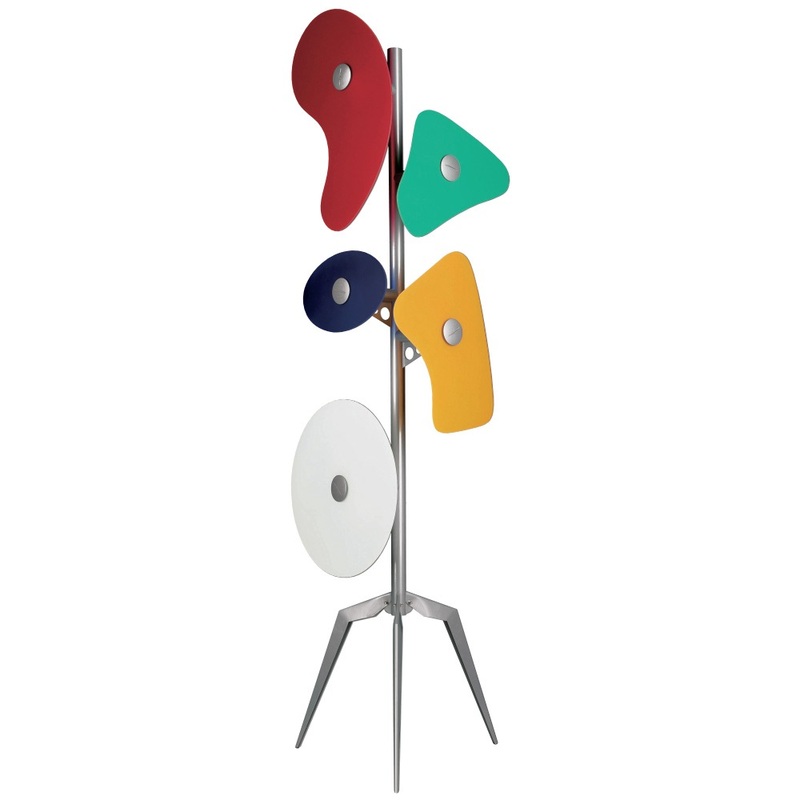 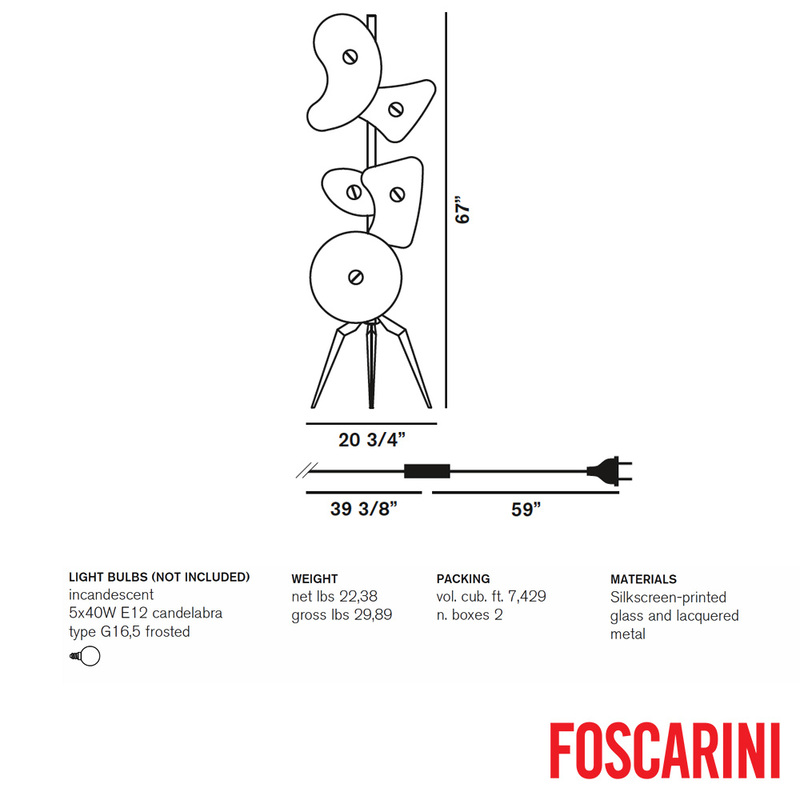 Epoxy powder coated metal tripod central frame and 5 different sized and shaped satin finish colored and painted glass diffusers, which are secured to the frame using epoxy powder coated metal glass-locks. 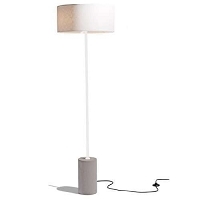 ON/OFF pedal on the black cable.